cn = an + bn, where n = 3 or greater, has no possible solution. Instead of asking us to prove the theorem, he simply says: "How many variables are there?" I woke up and wondered about that piece of cheese I'd eaten the night before. Then I started thinking about the substance of the dream: How many "variables" are there in, say, c3 = a3 + b3? And how does this compare with the number of "variables" in Pythagoras' theorem c2 = a2 + b2? Pure mathematics relating to number theory arguably has no practical application. Yet I realised that maybe, just maybe, my subconscious was telling me something "useful" in martial terms. It seems to me that when marital artists analyse techniques, they often do so in either 2 dimensions without considering the 3rd, or in 3 dimensions without considering the 4th (ie. time). Such analysis is necessarily fundamentally flawed; “rules” applicable in one dimension do not translate equally to another. This is why Fermat’s last theorem makes intuitive sense. You can’t expect Pythagoras’ theorem, which works in 2 dimensions, to “survive” the transition to 3 dimensions, or 4 and so on. Yet I've often noticed that when demonstrating or teaching, martial arts instructors will ask a student to launch an attack when both parties are stationary. Furthermore, the instructor might pause the attack or defence at a particular point to consider the angles and positioning. To make matters worse, sometimes the only angle considered by the instructor is that on one plane (usually the horizontal) - reducing the analysis from 4 dimensions to 3 dimensions to 2. Youtube is full of such demonstrations. I have mentioned already that instructors will, when analysing techniques, sometimes look at angles and vectors from a 2 dimensional perspective only. So for example, they might look from above at the angle of a hook/cross/haymaker and wonder what angle of evasion/deflection/interception will negate it. But they might not look at the angle from the side. In other words, they will examine the angles and vectors on a horizontal plane without considering the vertical plane. Using this flawed analysis, it is commonly regarded that a deflection of a curved punch from the outside is impossible. 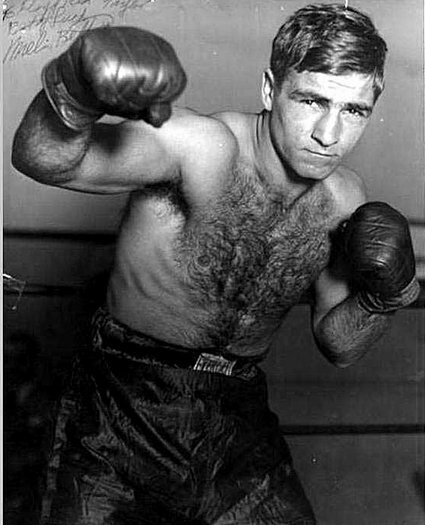 Since most “power punches” have some element of curve,2 the conclusion is made that it is impractical to attempt to deflect punches on the outside. Rather, if one is going to “block” the punch (ie. deflect or parry it) one is going to be forced to move on the inside. This is conclusion is at odds with the generally accepted theory in traditional martial arts that you should, where possible, move to the outside of your attacker. Opponents of this traditional paradigm cite the general “improbability” of using a “block” (ie. 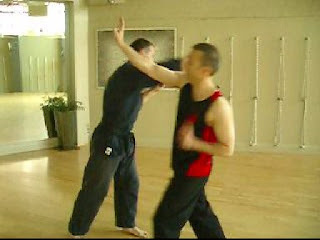 a deflection or parry) on the outside against “punches used in the street”2 (ie. punches commonly occurring in civilian defence situations - ie. part of what Patrick McCarthy calls "Habitual Acts of Physical Violence") as a reason why the traditional paradigm is wrong: If one is forced to move on the inside, the whole “block/punch” approach becomes problematic, because one is very likely going to walk into a second punch and a third, etc. Leaving aside the issue of whether moving on the inside is necessarily “fatal”,3 let us examine whether it really is impossible to deflect a curved punch on the outside. As I discuss in the video above, when you consider a curved punch in 3 dimensions, you get a very different picture. All of a sudden you realise that the curve of a punch on a horizontal plane is largely irrelevant to the question of whether or not it can be deflected along another plane. In this case, we don’t have to confine ourselves to the horizontal plane when considering how to deflect the punch. Rather, we can utilise the vertical plane (or an angled plane somewhere in between). The exact plane we might have to use depends on the circumstances. Regardless, as I demonstrate in the above video, the deflection on the outside is not substantially more difficult because of the fact that a punch is curved – it is just that we are accustomed to thinking that it will be. Accordingly, coming back to Fermat, we shouldn’t be surprised that Pythagoras’ theorem doesn’t translate to 3 dimensions. This can be represented graphically as shown on the right. You will note that a square built on the hypotenuse will have an area equal to the sum of the squares built on sides a and b. 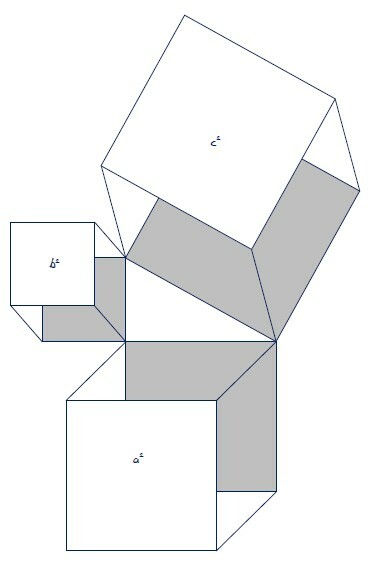 But if what if we built cubes on each of the sides of the triangle? 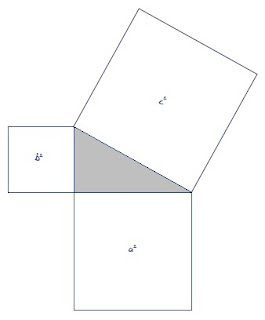 Would the volume of the cube on the hypotenuse be equal to the sum of the cubes built on sides a and b? Intuition should tell you that the premise is fundamentally flawed because it attempts to translate a theorem applicable in 2 dimensions (squares) to 3 dimensions (cubes). If such a translation were possible, it would imply a fixed ratio of area to volume. Yet we know from the square cube law that this is not the case. Accordingly it should come as no surprise that it is fairly easy to prove Fermat’s last theorem for the special case of right-angled triangles4 – without recourse to any of the difficult ellipsis mathematics utilised by Andrew Wiles1 in his general proof. In fact, I have done just so for the purposes of this article: I invite you to read my paper: “Fermat’s last theorem: a proof for right angled triangles”. Considering the above discussion, one might be forgiven for thinking that an analysis of martial technique in 3 dimensions is going to be complete. However such an analysis denies the all-important 4th dimension – time. In this regard, martial arts instructors will commonly discuss a particular response to a particular attack without necessarily considering that both parties are moving when the attack is launched, and how this movement relative to each other will affect the outcome. This is what I have often described as the "dynamic context" – and hence my (oft-made) argument that techniques need to be practised in such a dynamic context, rather than from a "standing start". It is for this reason that “ippon kumite” (one step sparring) is necessarily flawed, and useful only as a tool for teaching beginners basic biomechanical and kinaesthetic skills. It cannot serve as a tool for teaching “reality-based” self-defence, because it is always predicated on the attacker and defender starting from stationary positions. This might be valid for the first attack (and I would argue that it often isn’t – first attacks can be, and are, launched when both defender and attacker are in motion) but it says nothing of what happens once the fight has begun and entered the “melee phase”. So in order to truly understand how to apply martial techniques in a dynamic environment it is evident that one needs to practise them there. One way to do this is in a context where your own counter attack has just been thwarted or has otherwise failed. So, for example, there is a move at the end of the kata gekisai dai ichi where one deflects downwards and follows with a double punch. As I have discuss in the video embedded earlier in this article, this technique comes into its own when you’ve executed a kick, only to find that your kick has been deflected and you are about to fall into your opponent’s punch. In that case, the downward depressing deflection of the punch as per the gekisai movement is very effective. But unless you practice this in a dynamic context (an example being our “embu”5 or 2 person forms), you won’t ever get the chance to see how the technique might really be applied in a dynamic setting. 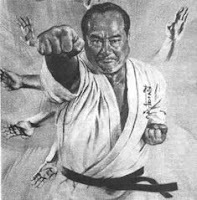 There is another problem with ippon kumite (one step sparring) training paradigms and it is this: the drills used often assume that the attacker will remain stationary after the attack is completed. This assumption is fundamentally flawed and is almost single-handedly responsible for the failure of many traditional martial artists to apply their techniques in a dynamic setting. 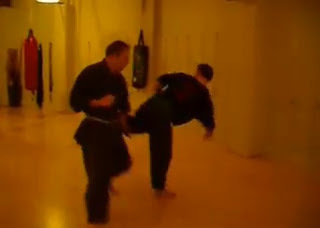 A classic example of this is to be found in the case of the kote gaeshi: most traditional schools continue to teach this technique in a manner that relies (unconsciously) on the assumption that after an attack is launched, the attacker will remain stationary. This assumption leads to some fairly fundamental errors in footwork. 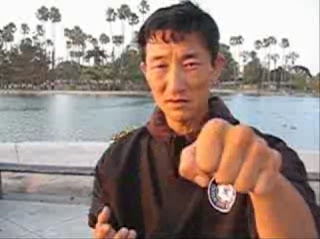 Yet if one takes into account the 4th dimension (time) and factors in the continuing movement of the attacker (in particular the withdrawal of the punching arm), kote gaeshi suddenly “comes to life” as a supremely useful technique. I discuss this at length in my article “Kote gaeshi: how to apply it against resistant partners”. In the video embedded earlier I have included some more examples of throwing methods where the 4th dimension (time) should be (but often isn’t) factored in. The images to the left illustrate one such throw. However there are many more examples one could give along the same lines – too many to recount here. 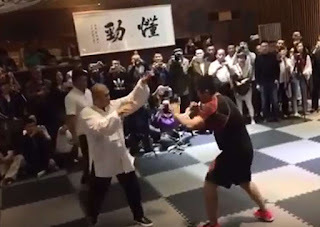 I have previously discussed how a martial art like taijiquan is nothing like yoga: the former deals with movement, the latter with “postures” (see my article “Taiji and yoga: poles apart?”). The same distinction can be made of any martial art vs. yoga. 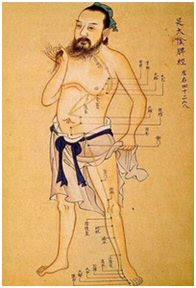 However tempting it is to take “snapshots” of martial arts techniques and consider those snapshots as “postures”, this must be avoided. That is because martial arts is not about postures. And those snapshots are just that - transient points in the context of continuous movement. 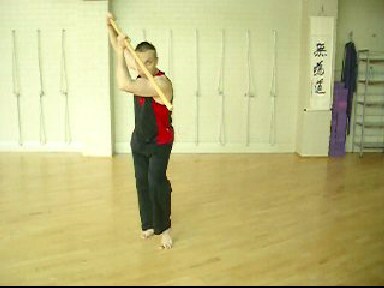 In the video embedded earlier in this article I have alluded to one obvious example of the pitfalls of “snapshot analysis”, namely the sukui uke (scooping deflection) used in jodo (the art of the 4 foot staff). The sukui uke can (and often is) “frozen” for analysis at the point where the jo would intercept the attack. When analysed in this frozen context, the angle of deflection appears manifestly inadequate: While one might argue that the angle (which is directed downward and away from the defender’s head) might well allow the attacker’s stick to slide away harmlessly, even a cursory examination will show you that the stick might just as easily slide up towards the defender’s hands. But this whole “frozen” analysis is predicated on the basis that the technique will be employed statically as kind of “raised shield”. It is nothing of the sort. The word “sukui” (scoop) should give some clue as to how the technique is really used. Rather than be used as a kind of “shield”, the sukui uke relies on the scooping, circular action to slide the attacker’s stick to the side and away. Simultaneously, the defender’s jo will rotate around and come down sharply onto the attacker’s head. 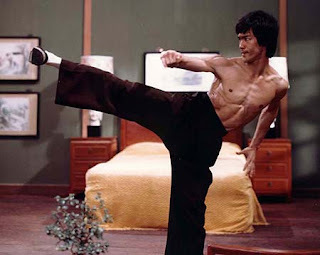 There simply is no finer, no more poetic, technique in the whole of the martial arts: the harder the attack, the more the defender’s jo is propelled around and downwards onto the attacker. None of this is apparent if one “freezes” the movement and attempts to analyse it from there. 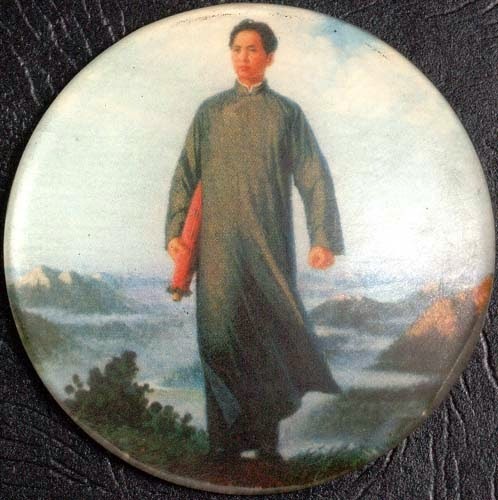 Martial arts are about movement – or, to use the baguazhang concept, change. They are concerned with understanding and mastering a dynamic, shifting world. Attacks in civilian defence situations will necessarily take place in such a dynamic setting. They generally won’t take the form of one-step sparring, where your attacker (who has been stationary) launches an attack and remains stationary from then onwards. So in order to correctly analyse and understand martial techniques, one needs to take into account all the dimensions of an attack and defence. Analyses that are static (3 dimensional) or limited to one plane (2 dimensional) will be fundamentally flawed, since the analyses in those dimensions won’t transfer to higher dimensions. for any integer value of n > 2. Perhaps pure mathematics does have some practical application after all - if only to remind us of what is relevant (and what is not) when formulating theories upon which we base physical pedagogics. "I have discovered a truly marvelous proof that it is impossible to separate a cube into two cubes, or a fourth power into two fourth powers, or in general, any power higher than the second into two like powers. This margin is too narrow to contain it." 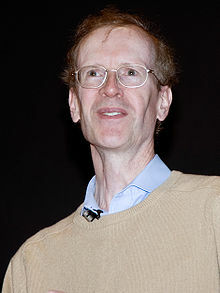 The theorem was finally proved in 1995 by Andrew Wiles - 358 years after it was first proposed. However, Wiles used 20th century mathematics relating to elliptic curves - a methodology that would have been unknown to Fermat. If Fermat did indeed have a proof (and most mathematicians appear to believe that he did not), it would have relied upon fairly elementary mathematics (eg. algebra and geometry). 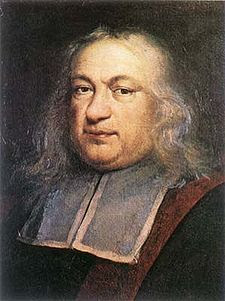 Curiously, Fermat wasn't a mathematician by profession: he was a lawyer at the Parlament of Toulouse. Despite his amateur status, he is ranked with Rene Descartes as one of the two leading mathematicians of the first half of the 17th century. Fermat's influence was such that Isaac Newton credited his method of calculus to "Monsieur Fermat's method of drawing tangents." 2. 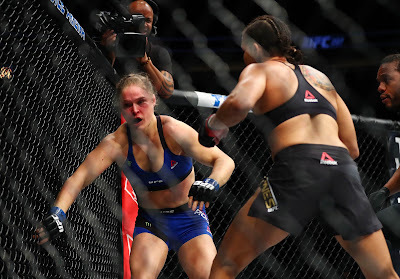 While it is true that “power punches” tend have some element of curve, it is worth noting that other punches, notably jabs, follow a straight path. 3. I propose to deal with the questions of moving on the inside vs. moving on the outside and the “impossibility” of using “block/punch” in separate articles in the near future. 4. In writing this article, I decided it would be useful to prove Fermat’s last theorem for the special case of right-angled triangles. I then thought it would be interesting to attempt what so many have foolishly attempted, and that is to solve the theorem generally. and where 2abV produces a whole integer. where p = the place of n in the sequence of odd integers. if n = an odd integer. if n = an even integer. = (a2 + b2)(a4 - a2b2 + b4). However this still does not enable an + bn to be factored as (a2 + b2 - 2abV)n.
5. Consider my articles “Really USING your kata” and “The ‘Oh sh*t!’ moment: more about 2 person forms” and “Muidokan embu: 2 person form for karate”. 6. Consider my articles “Taisabaki and tenshin – evasion in karate: Part 1 and Part 2” and “Evasion vs. blocking with evasion”. Why aren't you trying to publish these somewhere where someone else could legitimately cite them? Not saying that I know where would be appropriate or what this would fall under, but it might be nice for you to get a version of these papers reviewed and published with your name on it. I'm not sure Quint... I guess once I've written down what I was thinking, I lose interest and move on. In the pre-internet days, my thoughts were written down on bits of paper and pushed into the bottom draw. A blog has made some of the thoughts more accessible. I'm quite heartened to read that you feel they are capable of publication. If you have any ideas as to where I should try to get them published, I'd be glad to hear them! I'll also need help with citations etc. as I'm quite out of touch with all that stuff! PS - I talk to you on FB or email! This post clearly illustrates the problem with martial art books and trying to learn martial arts from books. Books, even with photos of techniques (or maybe exactly because of photos), give one snapshots in time and therefore negates the fourth (time) dimension. People focus on these "snapshots," but often the efficiency of the technique does not reside in such singular moments in time, but rather in the whole "flow", or "dynamic context" as you put it, of the technique. Thanks SooShimKwan. Your observation about learning from books is spot-on. I think the proliferation of martial arts books in the mid to late 20th century is largely responsible for the present focus on "snapshot" learning of martial art technique. I think that if you went back to before the time of photography, you would have found a very different attitude to technique analysis; one that was arguably far less inclined to static paradigms. 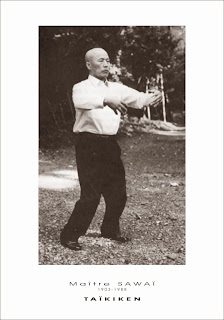 I think photographs and other diagrams in books are also responsible for the devolution of analysis from 3 dimensions to 2: I still have a series of texts by Inoue on kobudo, illustrating techniques from above - ie. along a horizontal plane only. I found your blog via a link in Aikido Journal. 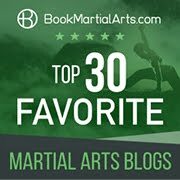 Thank you for sharing your understanding of martial arts with your writings and your videos via the WEB. I appreciate your using 21st century technology to transmit the art. 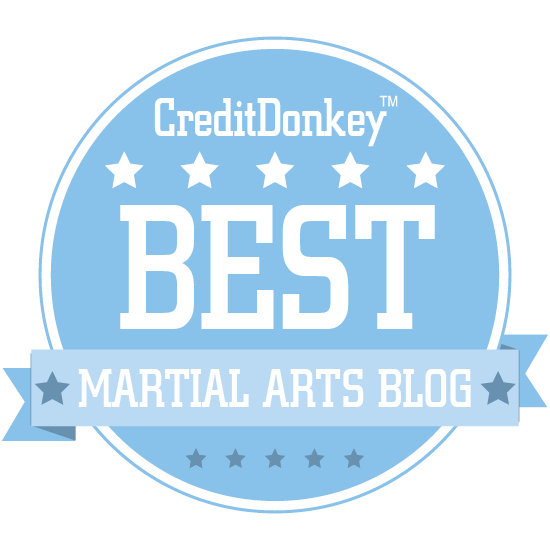 I look forward to more mathematical (and thus rational) analysis of martial arts from you. And I will be the first to purchase your Essential Jo book. Please continue with your forward motion. Hi DrX GnOop - thanks for that. The book publication is delayed a little as I've been asked to re-shoot some of the photos, but it should come out sometime this year! Very informative. This is my first time i visit here. I found so many entertaining stuff in your blog, especially its discussion, I guess I am not the only one having all the enjoyment here! Keep up the good work.